With the Indian economy opening up to investment from foreign sources and the realization of the potential of the agricultural and agri-related sectors, IOB has introduced various consultancy services. 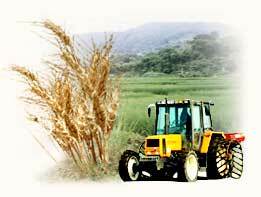 The objective of this division of IOB is to foster and encourage the growth of all agriculture related businesses. The Agri Business Consultancy Services was setup in 1996 at the Central Office of IOB in Chennai for the purpose of encouraging and fostering Agriculture, Horticulture, Agro-Processing, Agro-Forestry, Animal Husbandry, Infra-structure Parks etc., and related Agro industries primarily through provision of quality consultancy. All agriculture related businesses are different and require meticulous attention. At ABC Services every aspect of a business/project is dealt with in detail within the defined objectives, leading to positive action and investment. The Indian economy has opened up to Foreign Direct investment from other countries. This has spawned the growth of a variety of agriculture related projects that have been identified as profitable investment avenues, of which a few are listed below. Cultivation of medicinal and aromatic plants etc. The Govt. of India has recognized the potential of commercial agriculture and has committed to develop the Indian economy through this sector. In order to facilitate the growth of Hi-Tech agriculture, the need of the hour is quality consultancy services. IOB's ABC Services steps in to fill the vacuum.